If you’re looking for cheap VPS hosting, and don’t care about quality, stability, and performance, then these KVM VPS servers are not for you! We’ve never really understood why bandwidth should be limited. That’s why all of our VPS Hosting plans provide unlimited bandwidth. Really. Just the sound of that word is enough to make our collective skins crawl. Never settle for less than 100% dedicated resources, never settle for less than ZeroStopBits! We run Dual Intel x5650’s providing 24 cores of awesome. Attach that to our RAID10 array of Seagate Enterprise drives, and now you’re cooking. We wouldn’t want our critical websites and applications to run on a cheap, oversold, and unreliable platform. So we tested the competition and were shocked to find exactly that at almost every competitor. That gave us the motivation to build a VPS Hosting offering that is lightyears better than the rest. Having said all that, we encourage you to look into and compare what these guys have to offer. You too will quickly realize that what they offer are pale imitations of what a real KVM VPS platform should look like. Jump into one of our VPS Hosting packages today, we know you’re going to love it, or your money back! Losing data is never fun, losing your whole server… well.. that’s a nightmare. Rest assured that when you host with us, your VPS is backed up daily. While we don’t offer full management out of the box, you can add it to your VPS Hosting package at a price so low, we shouldn’t even be telling you about it!  All of our VPS Hosting plans come standard with IPv6 support. Immediately upon deployment, you’re assigned an IPv6 address, and you can request as many more as you want! As IPv6 support becomes more popular, it won’t be long before just about anyone starts offering IPv6, even though they might not know how it works! You can trust that our experience with the IPv6 protocol means you’re in good hands. Jump into a VPS Hosting plan today, and take hold of the future with IPv6! Maybe you’re not in the market for a KVM VPS, so why not take a look at what our Managed Web Hosting plans have to offer? They come packed with standard features like mobile site builders, our 1-click software installer, daily backups, full management, spam-free email and so much more.